It’s often said that while Dr. James Naismith invented basketball in Massachusetts, the sport was raised and ultimately came of age in the high schools of Indiana, the state where politics, religion, and sweet corn fall in line behind the game played with the round orange ball. 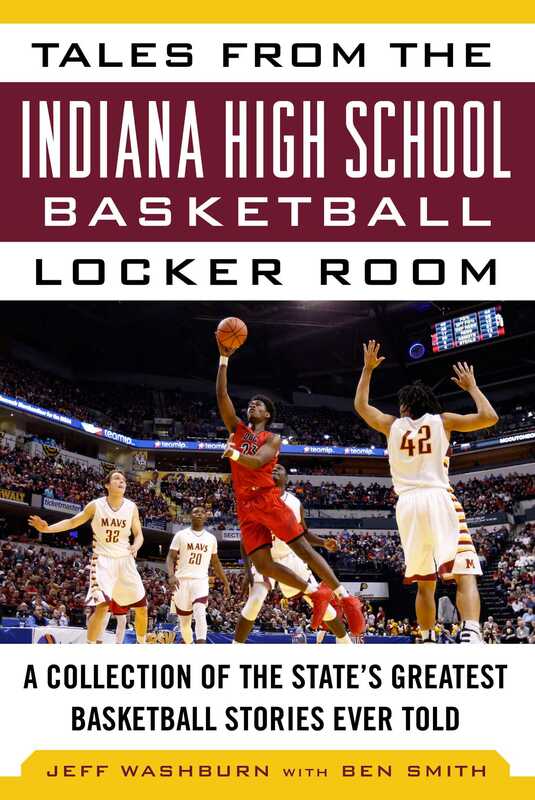 Tales from the Indiana High School Basketball Locker Room, now newly revised, centers on those special people who have played the game—their stories, their passion, their drive for excellence, their laughs, and their tears. This is a book about Lebanon schoolboy hero Rick Mount, the first prep basketball player ever featured on the cover of Sports Illustrated; it’s about Gene Cato, the Indiana High School Athletic Association’s former commissioner whose father—his high school coach—would not put the young scoring phenomenon into a game until his team’s fans demanded it; it’s also about Marion’s “Purple Reign”—consecutive state championships in 1985, 1986, and 1987 when the Giants were the most important game on every opponent’s schedule. John Wooden, Bobby Plump, Steve Alford, Damon Bailey, Gary Harris, Caleb Swanigan, Yogi Ferrell—it’s as easy for an Indiana high school basketball fan to roll the names off the tongue as it is to find the broadcast of a high school game on AM radio on any Friday night during an Indiana winter. Tales from the Indiana High School Basketball Locker Room is not so much about statistics and winning streaks as it is about the personalities and emotions of those who created a phenomenon that became a way of life in the Hoosier State. Jeff Washburn, a Lafayette native and 1976 Purdue graduate, covered Indiana high school basketball for the Lafayette Journal & Courier for more than twenty years, reporting on every Indiana state finals from 1976 through 1994. He is now in his nineteenth season covering the Purdue sports beat for AP and the FW Journal Gazette. Washburn was inducted into the Indiana Basketball Hall of Fame in 2011. Ben Smith, a 2013 inductee into the Indiana Sportswriters and Sportscasters Hall of Fame, has covered sports in Indiana for nearly forty years. He is now a marketing writer at Manchester University in northeast Indiana.